Denver's housing market is on fire. While the legalization of marijuana isn't the only thing driving the market, it has contributed to job growth in the area that has people flocking to Denver. "The pot industry is creating jobs we didn't have before," said Kelly Moye, a Re/Max real estate agent who has worked in the Denver area for 24 years. "It's brand new, it adds a whole new factor to the area; you have real estate needs, housing needs, job needs." The industry has created jobs beyond growers and dispensaries. Legal marijuana has also been a boon for existing businesses like security and HVAC companies who service the new "green" businesses. "Electricians have grown from mom and pops to big-time electric companies," said J.P. Speers, an agent at ‎Berkshire Hathaway Home Services. Denver and its surrounding areas have also become a hot spot for the tech industry, adding to the job rush. "It's fairly affordable, at least for now," said Moye. "The quality of life is great and employers are bringing their employees here." But it's difficult to pinpoint exactly what enticed a person to move to the state. "A lot of them try to hide it," said Speers, who has worked with clients moving to the state because of legalization. "They don't necessarily say they are coming out to be part of the marijuana industry." He said he helped find a rental unit for a mom coming from out of state to access medicinal marijuana for her daughter. He's also seen an increase in lease-to-purchase or home rentals for tenants looking to start growing operations. "They are not necessarily legal operations either," he said. While the new law might be creating more jobs and adding to the housing market's strength, it can sometimes work against sellers. "I had a lot of trouble selling one property because one of the neighbors was growing so much that buyers were concerned," said Speers. First-time buyers and anyone looking for a home at the lower-end of the market face stiff competition. "There are a lot of first-time buyers," said Toby Waters, a real estate agent with Vision Denver Homes. "The rental market is insane, you can save money by buying a house." Inventory has been tight in the city. In a normal market, Denver typically has around 24,000 listings, according to Moye. But right now, she said there are only around 4,000. But there is the nagging question of just how long the real estate buzz will last. Moye said the market has room to run for five to seven years barring any major economic disasters. 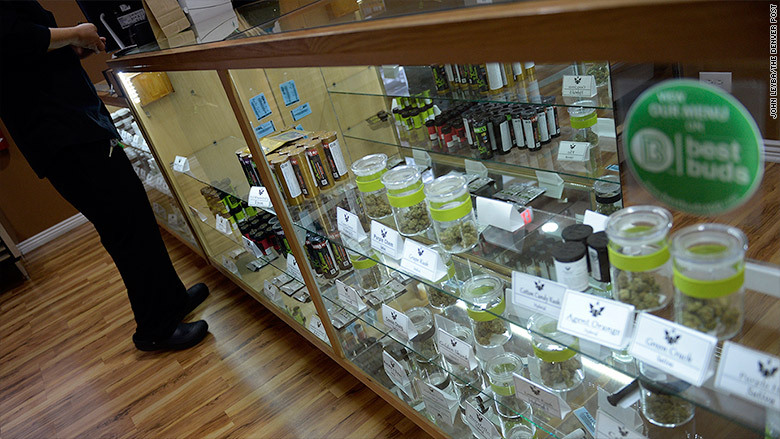 If more states legalize marijuana, that could also take away some of the state's luster. "We are going to continue to see an increase in population growth based on marijuana until other states start picking up recreational laws," said Speers.